"44 MILLION TURKEYS, 116 MILLION BLACK FRIDAY SHOPPERS AND ALL THE OTHER THANKSGIVING STATS YOU DIDN’T KNOW YOU NEEDED"
"Thanksgiving is upon us — that holiday during which Americans celebrate the things they are grateful for in their families, their communities and their nation. And while some dread Thanksgiving conversations with “angry uncles” and their ilk, here are a few reasons to be excited for the holiday: Carve The Turkey There’s a reason why many Americans call Thanksgiving “Turkey Day.” The bird is the centerpiece of the table and the meal. 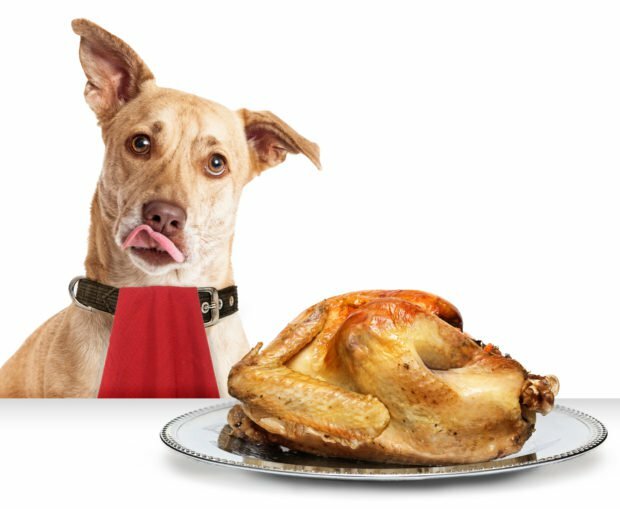 The National Turkey Federation estimates 44 million turkeys were consumed by Americans on Thanksgiving in 2017. Thanksgiving Day Football More than 35 million people tuned into FOX to watch the Dallas Cowboys beat the Washington Redskins in 2016, according to The Street. That’s even more than the 25 millionpeople who watched the Macy’s Thanksgiving Day Parade on NBC in 2016. Upwards of 164 million Americans plan to shop over the five-day Thanksgiving weekend that ends on Cyber Monday, according to a survey by the National Retail Federation. Of those shoppers, 71 percent will hit the stores on Black Friday. That’s roughly 116 million shoppers." Here's a look at the weather across the country for Black Friday. Shoppers in the Central US will have soggy weather to contend with during the second half of the day. Unsettled weather will continue in the Western US as well with areas of heavy rain and flooding potential. Mountain snow could add up to 1ft. or 2 across the high elevations, especially in the Sierra Nevada Range. High temps on Friday will still be VERY chilly in the Eastern US with temps running nearly -10F to -20F below average. Meanwhile, folks in the Central US will be warmer than average. 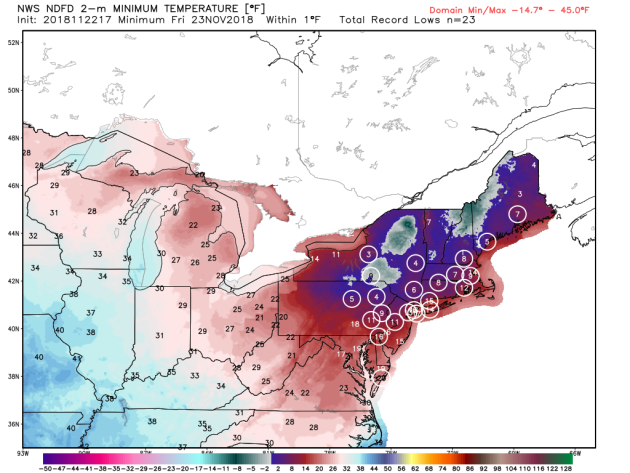 A number of folks in the Northeast will wake up to record low temps on Friday morning. If you have shopping plans early Friday, bundle up! A whiff of wind will make it feel more like the single digits above and below zero - BRRR!!! In order to be considered a "White" Thanksgiving, there has to be at least 1" of snow on the ground. Currently, only a trace of snow is being reported in the Twin Cities, while most locations across the northern half of the state have anywhere from 1" to 3" of snow on the ground. However, recent cold weather has led to widespread lake effect snow across the Great Lakes and Marquette, MI is reporting a cool foot of snow on the ground! "Ice rescue prompts angler safety warning"
"Despite high winds, thin ice and wide swaths of open water, a handful of anglers decided to try their luck on Upper Red Lake Saturday afternoon. When two of those anglers didn't come home, search teams scoured the lake. According to the Red Lake Police Department, the anglers were found after midnight, stranded on a chunk of ice which had broken off and drifted out into open water. They were rescued safely and treated for hypothermia. These kind of rescues are pretty common on Upper Red Lake. It's a large, shallow body of water. That means it often freezes early, but the ice can be unstable. Waves build up quickly, cracking apart ice sheets, sometimes with anglers onboard. In 2015, 50 anglers had to be rescued. But this year's rescue is earlier than usual. DNR recreation safety coordinator Lisa Dugan, sees it as a cautionary tale. "Some lakes may have frozen early," she said. "But with temperatures in the 40s coming up this week, it might not be safe." She recommends anglers stay off the ice until it's at least 4 inches thick, and head for land if it seems unstable at all." Ok folks - I know there A LOT of eager anglers excited that the recent cold blast has been making ice on area lakes and ponds, BUT please make sure you aren't putting yourself in danger on newly formed ice! The MN DNR has some basic guidelines on how thick the ice should be before you even think about stepping out onto the ice! Also remember that ice is NEVER 100% SAFE! High temps on Friday will be warmer than average (finally) across the state. Highs will range from the mid 30s across the far northern part of the state to the upper 40s across the southwestern part of the state. After a dry start, areas of drizzle and light rain will develop by the PM hours. 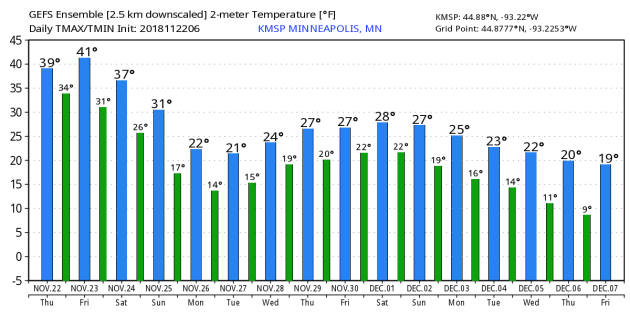 Temperatures in the metro have been running nearly -8F below average so far this month, but readings could warm to above average levels through Friday and Saturday. Enjoy it because the extended outlook into the middle part of next week suggests another fresh batch of cold Canadian air moving in with highs only warming into the 20s - BRR!! Thanksgiving Day Thursday looks pretty quiet across much of the Upper Midwest, but Black Friday expeditions could get a little soggy as rain looks to develop across parts of Minnesota and Wisconsin. Another storm system will develop on the heels of that with areas of heavy snow possible by late weekend/early next week. The track is still uncertain, so keep an eye on upcoming forecasts if you have travel plans during that time frame. According to the European Model (ECMWF), areas of heavy snow could fall across parts of the Midwest late weekend/early next weekend. Exact details are still yet unknown, however, this model is suggesting nearly a foot of snow from near Des Moines, IA to near Chicago, IL. Stay tuned. Ah, Black Friday. When some people don't hesitate to trample others, for stuff they don't really need, mere hours after giving thanks for what they already have. According to wizards at Wikipedia, "the adjective 'black' has been applied to days upon which calamities occurred." Uh huh. In the 1950s police in Philadelphia used the term to describe crowds and traffic mayhem accompanying the first big Christmas shopping day of the year. How appropriate. Good luck out there today. I predict a slightly more civilized experience, but the risk of a Black Sunday/Monday is growing for Wisconsin and Iowa, as a major winter storm slides to our south early next week. ECMWF continues to show a band of 6-12 inches from near Des Moines and Dubuque to Madison and Milwaukee. Chicago may see a few inches of slush by Monday, which could lead to legions of loitering travelers at O'Hare Airport. Expect light rain here today, followed by another cold slap next week. 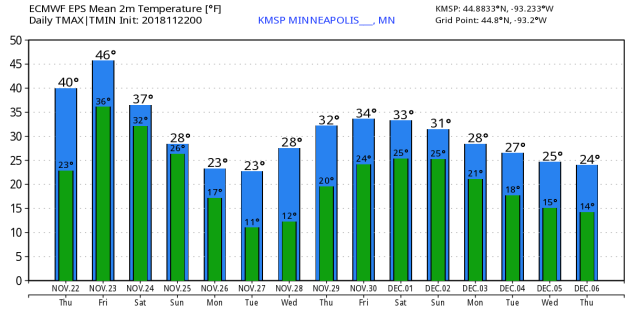 Models hint at a little slush by the middle of next week. No jumbo snow events are brewing just yet, but I'm going to try and be patient. BLACK FRIDAY: Gray. Light rain develops. Winds: S 10-20. High: 45. FRIDAY NIGHT: Mostly cloudy. Light mix possible. Winds: SSW 5-10. Low: 33. SATURDAY: Mostly cloudy. Drying out. Winds: NW 8-13. High: 39. SUNDAY: Clouds linger. Dry over Minnesota. Winds: N 10-20. Wake-up: 28. High: 32. MONDAY: Peeks of sun with a cold wind. Winds: NW 10-15. Wake-up: 18. High: 26. TUESDAY: A little more sun, still numb. Winds: NW 7-12. Wake-up: 12. High: 24. WEDNESDAY: Light snow or flurries develop. Winds: SE 7-12. Wake-up: 14. High: 29. THURSDAY: Light snow. A little slush. Winds: SE7-12. Wake-up: 18. High: 30. 2003: New London and Little Falls both receive 9 inches of new snow. 1983: Heavy snowfall accumulates over most of central Minnesota with snowfall totals from 4 inches to almost 1 foot. 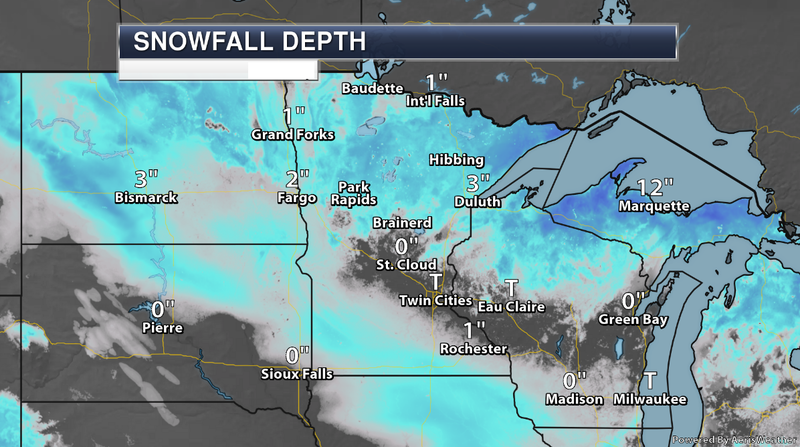 Minneapolis received 11.4 inches of snow, while Farmington had 11 inches. 1954: Very strong winds over Minnesota lead to considerable damage in downtown Wadena. "At this point of the year, it's time to set beaver traps before the swamps freeze, to ensure a supply of warm winter furs. Another interpretation suggests that the name Full Beaver Moon comes from the fact that the beavers are now active in their preparation for winter. It's also called the Frosty Moon. Fullness occurs at 12:39 a.m. EST (0539 GMT)." "On November 22, 2018, despite the glare from the full or nearly full moon, you might be able to spot two major signposts in the constellation Taurus the Bull. Look first for the bright star Aldebaran, part of the V-shaped face of the Bull. Then look for the dipper-shaped Pleiades star cluster, in the Bull’s shoulder. In North America, we often call the November full moon the Beaver Moon or Frosty Moon. In the Southern Hemisphere, where it’s the opposite time of year, the November full moon is a fixture of the spring season rather than autumn. But no matter of where you live worldwide, this November 2018 full moon shines directly in front of the constellation Taurus the Bull, and presents the third and final full moon of this Northern Hemisphere autumn or Southern Hemisphere spring. By season, we mean the time period between the September equinox and the December solstice – or vice versa. Next month’s December full moon will occur less than one day after the December solstice – so we just miss having four moons this season." 1.) Heavy precipitation across portions of California and the Pacific Northwest, Wed-Thu, Nov 28-Nov 29. 2. 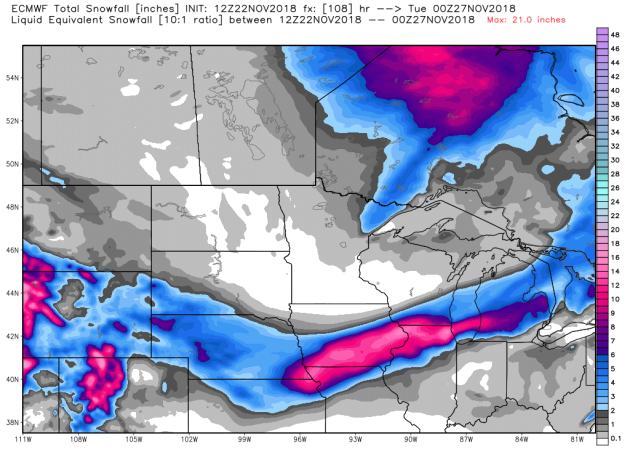 )Heavy snow across portions of the Central Plains, the Middle Mississippi Valley, the Great Lakes, the Ohio Valley, and the Upper Mississippi Valley, Sun, Nov 25. 3.) Heavy snow across portions of the Northeast and the Great Lakes, Tue, Nov 27. Flooding occurring or imminent across portions of the Southeast, the Mid-Atlantic, and the Southern Plains. 4.) High winds across portions of Nebraska, Kansas, southeastern South Dakota and northern Oklahoma, Sun, Nov 25. 5.) Much below normal temperatures across much of the central and eastern CONUS, Tue-Thu, Nov 27-Nov 29. 6.) Heavy precipitation across portions of the Alaska Panhandle and mainland Alaska, Sun-Mon, Nov 25-Nov 26. 7.) High winds across portions of the Alaska Panhandle and mainland Alaska, Sun-Mon, Nov 25-Nov 26. 8.) Slight risk of heavy precipitation for portions of California and the Pacific Northwest, Fri-Tue, Nov 30-Dec 4. 9.) 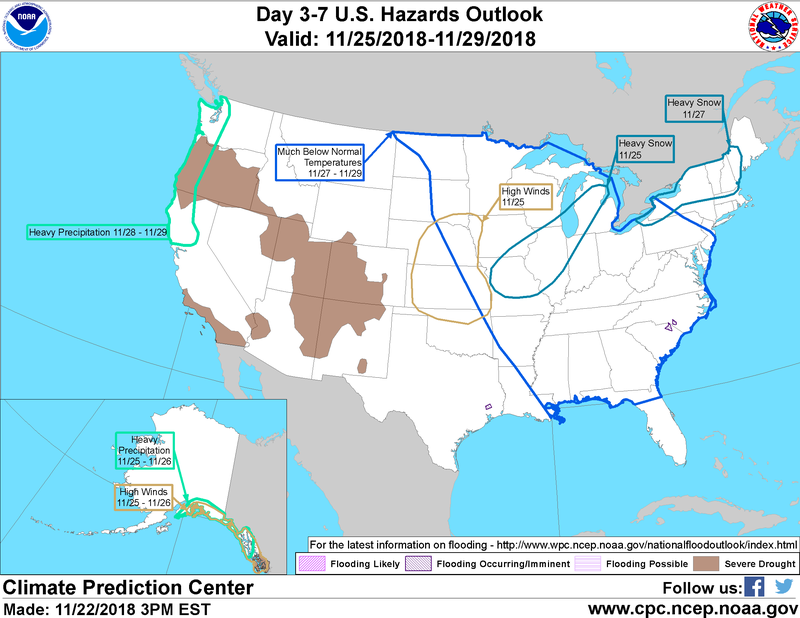 Slight risk of heavy precipitation for portions of the Southern Rockies, the Central Rockies, the Central Great Basin, and the Southwest, Fri-Sun, Nov 30-Dec 2. 10.) Slight risk of heavy precipitation for portions of the Mid-Atlantic, the Lower Mississippi Valley, the Central Appalachians, the Tennessee Valley, the Northeast, the Southern Appalachians, the Southeast, the Southern Plains, and the Ohio Valley, Sat-Tue, Dec 1-Dec 4. 11.) Severe Drought across the Central Plains, the Central Rockies, the Central Great Basin, the Southern Plains, the Northern Great Basin, the Southern Rockies, California, the Alaska Panhandle, the Pacific Northwest, and the Southwest. "Hurricane Michael Brought Water Levels Over 20’ High to the Coast"
"As an intensifying Hurricane Michael roared ashore in Florida’s Panhandle as a top-end Category 4 storm with 155 mph winds on October 10, 2018, it pushed a massive and destructive storm surge to the coast. The peak storm surge, located along the right side of where the eyewall made landfall, hit the town of Mexico Beach, which suffered devastating storm surge damage. Michael killed 45 people and caused damage in excess of $15 billion, according to an estimate last week from insurance broker Aon. In a post-storm survey, the United States Geological Survey (USGS) found at least three high-quality still-water marks between 17 - 19’ above mean sea level (MSL) in Mexico Beach, taken inside of buildings where waves could not reach. These marks are likely a good measure of Michael’s peak storm tide (height above MSL of the storm surge plus the tide), according to Dr. Robert Young, director of Western Carolina University’s Program for the Study of Developed Shorelines." 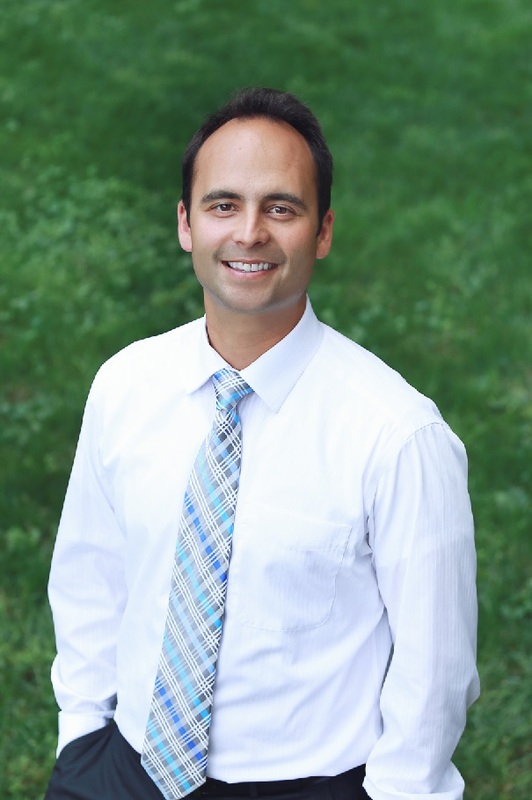 "Forecasting The Value Of Weather Data For Marketers"
"Can marketers who better understand tomorrow’s weather make more profitable decisions today? Does this insight equip marketers with a competitive edge? If so, how can this weather insight be most effectively leveraged? From decisions ranging from creative placements to contextual targeting, weather data has a role to play when it comes to optimizing marketing campaigns. The ability to anticipate weather conditions so that campaigns can be more relevant is not a new practice, but the capabilities of AI is changing how marketers prepare and respond. “We are all as consumers affected by the weather,” says Nancy Smith, CEO at Analytic Partners, an analytics firm that focuses on sales performance and marketing ROI." "‘Like a Terror Movie’: How Climate Change Will Cause More Simultaneous Disasters"
"Global warming is posing such wide-ranging risks to humanity, involving so many types of phenomena, that by the end of this century some parts of the world could face as many as six climate-related crises at the same time, researchers say. This chilling prospect is described in a paper published Monday in Nature Climate Change, a respected academic journal, that shows the effects of climate change across a broad spectrum of problems, including heat waves, wildfires, sea level rise, hurricanes, flooding, drought and shortages of clean water. Such problems are already coming in combination, said the lead author, Camilo Mora of the University of Hawaii at Manoa. He noted that Florida had recently experienced extreme drought, record high temperatures and wildfires — and also Hurricane Michael, the powerful Category 4 storm that slammed into the Panhandle last month. Similarly, California is suffering through the worst wildfires the state has ever seen, as well as drought, extreme heat waves and degraded air quality that threatens the health of residents." "Antarctic melting slows atmospheric warming and speeds sea level rise"
"As the Antarctic ice sheet melts, warming of the atmosphere will be delayed by about a decade but sea level rise will accelerate, according to new research scheduled for advance online publication in the journal Nature. The study is the first to project how the melting of the Antarctic ice sheet will affect future climate, said first author Ben Bronselaer of the University of Arizona, adding that current climate models do not include the effects of melting ice on the global climate. The entire Earth will continue to warm, but the atmosphere will warm more slowly because more of the heat will be trapped in the ocean, he said "Warming won't be as bad as fast as we thought, but sea level rise will be worse," said Bronselaer, a postdoctoral research associate in the UA Department of Geosciences. Observations show that the Antarctic ice sheet has been melting faster in recent years. The UA-led team found that by the year 2100, sea level could rise as much as 10 inches more than the previous estimate of approximately 30 inches by 2100. "No one had looked at the big picture of what Antarctic ice sheet melting means for the global climate," he said. To figure out whether the melting of the Antarctic ice sheet would affect global climate, the research team modified one of the most current climate computer models to include the ice melt." "The Tiny Satellites That Might Fly to Another Solar System"
"Scientists hope the world’s smallest satellites will boldly go where no probe has gone before. During an interview at a Boston- area café, Zac Manchester apologized for not bringing along a copy of his latest satellite — one of many duplicates due to enter orbit this fall during a mission to the International Space Station. “Don’t worry,” says Manchester, a Stanford University professor of aeronautics and astronautics. “I’ll put one in an envelope and mail it to you.” Even a small envelope would suffice, given that Manchester has created the tiniest satellite yet. The Sprite, as it’s called, weighs just 4 grams and measures less than 2 square inches — roughly the size and weight of a standard sugar packet. Such diminutive spacecraft, assembled from off-the-shelf components at a cost of about $25 apiece, could play a big role in future space exploration, Manchester says. They may even represent our best chance of getting a human-made device to a star other than the sun. An upcoming ISS mission should show him just how close we already are." "Air pollution is shaving YEARS off people's lives: Some cities could extend lifespans by more than a year if they got air quality under control, study warns"
"Global life expectancies are 1.8 tears shorter than they should be due to pollution, a new report has found . In the US, bad air now only clips our lives short by about 0.1 years, thanks to efforts to curb fine particulate metter. China didn't start to regulate air quality until 2013, but has since been 'winning' its 'war on pollution' India remains the worst off, with residents living 4.3 years shorter due to smog"